Stunning, wrenching and inspiring, the fourth novel by Canadian novelist Hill (Any Known Blood) spans the life of Aminata Diallo, born in Bayo, West Africa, in 1745. The novel opens in 1802, as Aminata is wooed in London to the cause of British abolitionists, and begins reflecting on her life. Kidnapped at the age of 11 by British slavers, Aminata survives the Middle Passage and is reunited in South Carolina with Chekura, a boy from a village near hers. Her story gets entwined with his, and with those of her owners: nasty indigo producer Robinson Appleby and, later, Jewish duty inspector Solomon Lindo. During her long life of struggle, she does what she can to free herself and others from slavery, including learning to read and teaching others to, and befriending anyone who can help her, black or white. 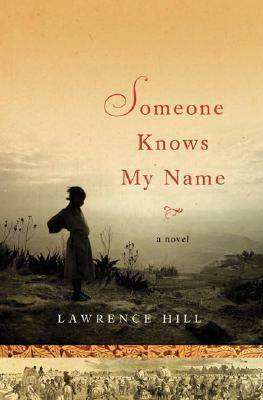 Hill handles the pacing and tension masterfully, particularly during the beginnings of the American revolution, when the British promise to free Blacks who fight for the British: Aminata's related, eventful travels to Nova Scotia and Sierra Leone follow. In depicting a woman who survives history's most trying conditions through force of intelligence and personality, Hill's book is a harrowing, breathtaking tour de force. I purchased this book earlier this year in paperback, but I read it in the audiobook version. I enjoyed the audiobook, but I don't know that the narrator was so great that I would recommend the audiobook version over the physical or digital version. The book is worth reading, period, in whatever form. But I don't think hearing the book was any better than reading it would have been. That said, though, there's a lot happening in this book that is amazing whichever way you experience it, and if audiobook is the only way you can read it, well... then you should read it as an audiobook. What's so striking about this book is how unlikely Aminata's life seems, though every bit of it is plausible. Much as Kindred brought to life the emotional toll of slavery, Someone Knows My Name made clear to me that, even for free blacks in the 18th century, people were constantly disappointing you with broken promises and cruel actions. Aminata's children are stolen from her, she sees her husband only sporadically, and she never gets to say goodbye to the important people in her life. Her existence is a series of starts and stops, and as soon as she feels comfortable or starts trusting that maybe things will go ok, the rug gets pulled out from under her and she must begin again. And, of course, in this book Aminata stands for all slave women, and it's gut-wrenching to see how such a strong and capable and smart and good person must try to recover from so much heartache so many times. There is much that is fascinating about this book. Lawrence Hill clearly did a lot of research on life on the cusp of revolution in the United States, and all of that comes to life here. We see the complicated interactions between slaves and masters, the economic impact that slaves had on the country's growth, the way that people justified the trade by saying they were helping, not hurting, people. The promises that Americans and the British and the Canadians made, and then never kept. It's all here, and it's all horrifying. But it's what really happened, and we should acknowledge and know that. Aminata is wonderful. She's smart, savvy, beautiful, strong. A force to be reckoned with. And that's what makes it even more painful when we see how little she controls her fate, how passive she must be in her own life story. It was heartbreaking, but so many people went through it, and no matter how many times the story is told, we all need a reminder once in a while. A really fantastic story - highly recommended. This sounds fascinating. Ever since reading Laurie Halse Anderson's wonderful book Chains, I've been extra interested in the fate of black Americans around the time of the American Revolution. The contracts are so striking -- the American colonies fighting for their freedom while denying it to the black population -- and I'm also fascinated by the creation of Sierra Leone. I read this wonderful book, Rough Crossings, that talked about the founding of Sierra Leone. Really really interesting. Lawrence Hill came to my attention recently with a short little pamphlet-type publication of Dear Sir, I Intend to Burn Your Book (http://wsupress.wayne.edu/books/detail/dear-sir-i-intend-burn-your-book). I simply must read this book and other stuff he's written.